Let’s be clear, Leon Bridges is not the second coming of Sam Cooke, Otis Redding or Wilson Pickett; he is his own singer/songwriter that has chosen to play music in a style that is familiar to fans of 60’s R&B coming out of Memphis. He’s good… really damn good, but to stand beside the Soul gods, you need more than one record of gospel inspired glory. The title track acts as both a mission statement and anchor to the unfolding of the album. “Coming Home” rolls out as a having an influence in doo wop, gospel and a soul flavoured pop delivered in a voice rich with southern longing. “Better Man” pulls the laundry list of things one is willing to do to access forgiveness. The themes are classic across the board. Lust (“Brown Skinned Girl” & “Smooth Sailin”), faith (“Shine”), family (“Lisa Sawyer”) love (“Flowers”) and love lost (“Pull Away”) all mingle together in a familiar Stax like setting. There is even a little nod to soul legend Sam Cooke on the song “River” which starts with a Ben E King “Stand By Me” opening before drifting off into the classic storytelling that makes one search for spiritual meaning. 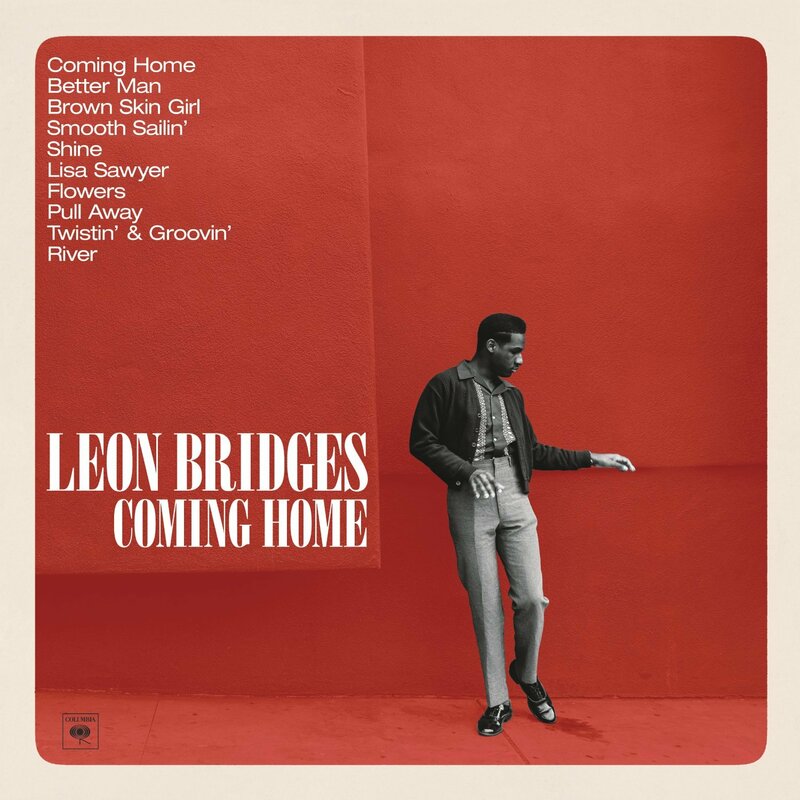 Coming Home is indeed a record steeped in the traditions of past musical glories; in following that path Leon Bridges may have begun a journey towards becoming a legend himself. Time will tell. Coming Home will be released on June 23 on all the usual formats. For vinyl fans there is a lithograph bundle that can also be picked up. Thanks! Happy to have inspired more than eye rolling from my kids. Released This Morning – The incredible Mr. Bridges.